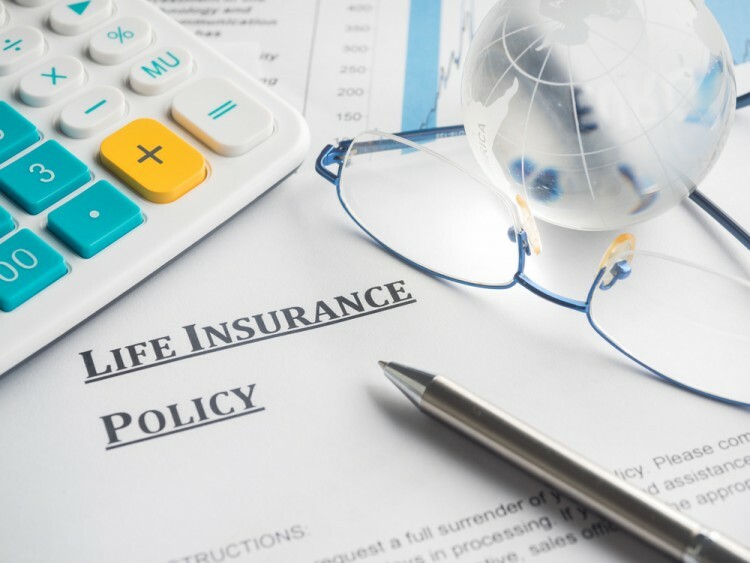 Is Manulife Financial Corporation (USA) (MFC) A Good Stock To Buy? Does Manulife Financial Corporation (USA) (NYSE:MFC) represent a good buying opportunity at the moment? Let’s briefly check the hedge fund sentiment towards the company. Hedge fund firms constantly search out bright intellectuals and highly-experienced employees and throw away millions of dollars on research activities, so it is no wonder why they tend to generate millions in profits each year. It is also true that some hedge fund players fail unconceivably on some occasions, but their stock picks have been generating superior risk-adjusted returns on average over the years. Is Manulife Financial Corporation (USA) (NYSE:MFC) going to take off soon? The best stock pickers are indeed selling. The number of bullish hedge fund bets went down by 3 recently. MFCwas in 13 hedge funds’ portfolios at the end of the third quarter of 2016. There were 16 hedge funds in our database with MFC positions at the end of the previous quarter. The level and the change in hedge fund popularity aren’t the only variables you need to analyze to decipher hedge funds’ perspectives. A stock may witness a boost in popularity but it may still be less popular than similarly priced stocks. That’s why at the end of this article we will examine companies such as PPG Industries, Inc. (NYSE:PPG), Alexion Pharmaceuticals, Inc. (NASDAQ:ALXN), and Koninklijke Philips Electronics NV (ADR) (NYSE:PHG) to gather more data points. Keeping this in mind, we’re going to take a look at the key action surrounding Manulife Financial Corporation (USA) (NYSE:MFC). What have hedge funds been doing with Manulife Financial Corporation (USA) (NYSE:MFC)? At Q3’s end, a total of 13 of the hedge funds tracked by Insider Monkey were long this stock, a drop of 19% from one quarter earlier. 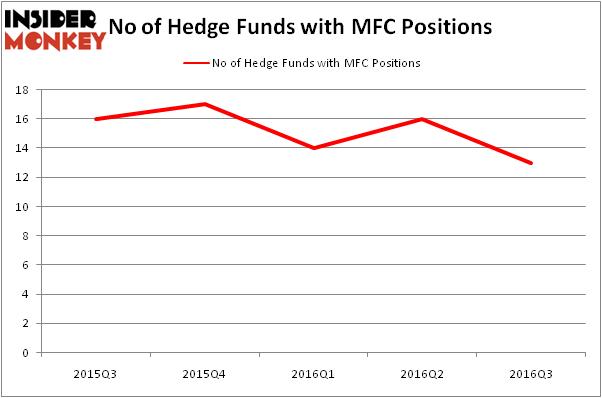 The graph below displays the number of hedge funds with bullish position in MFC over the last 5 quarters. With hedge funds’ capital changing hands, there exists a select group of key hedge fund managers who were upping their holdings considerably (or already accumulated large positions). Of the funds tracked by Insider Monkey, Arrowstreet Capital, led by Peter Rathjens, Bruce Clarke and John Campbell, holds the most valuable position in Manulife Financial Corporation (USA) (NYSE:MFC). According to its latest 13F filing, the fund has a $104.1 million position in the stock, comprising 0.3% of its 13F portfolio. On Arrowstreet Capital’s heels is Tetrem Capital Management, led by Daniel Bubis, which holds a $66.5 million position; 2.5% of its 13F portfolio is allocated to the stock. Some other peers that hold long positions encompass Brad Dunkley and Blair Levinsky’s Waratah Capital Advisors, John Overdeck and David Siegel’s Two Sigma Advisors and Cliff Asness’s AQR Capital Management. We should note that none of these hedge funds are among our list of the 100 best performing hedge funds which is based on the performance of their 13F long positions in non-microcap stocks. Is Liberty Sirius XM Group (LSXMK) A Good Stock To Buy? Should You Avoid Nationstar Mortgage Holdings Inc (NSM)? Hedge Funds Are Still Buying Novanta Inc (USA) (NOVT) Is Northstar Realty Europe Corp (NRE) Going to Burn These Hedge Funds? Hedge Funds Don’t Think Very Highly of Annaly Capital Management, Inc... Is Nordic American Tanker Ltd (NAT) A Good Stock to Buy?